If, like me, you have flower and vegetable seeds older than your children, it’s not a bad idea to test their viability prior to sowing them. Better to know now whether you’re in for heartbreak, and need to place an emergency seed order with your favorite catalogue. Seed viability is another term for the likelihood of a packet of seed to germinate. Seeds are living things, and different plant seeds may be viable for longer than others. Onion seed, for example, is generally understood to be viable for one year, while some melons may be viable for longer than 4 years. But these are rules of thumb; if kept in proper conditions, meaning low light, low temperature (but above freezing), and low humidity, seed may remain viable for many years past their average. Plastic sandwich bag with zippable closure, or a clear plastic container with a lid. 1. 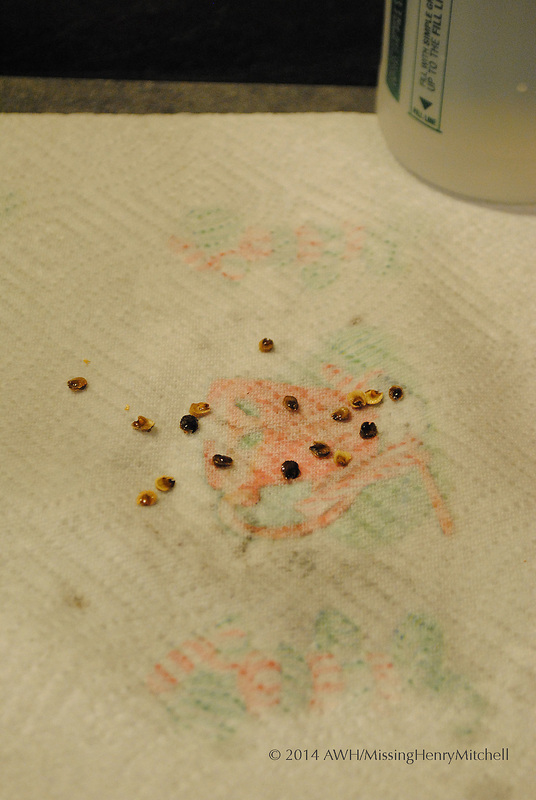 Lay out a sheet of paper toweling and empty a portion of the seeds onto the towel. 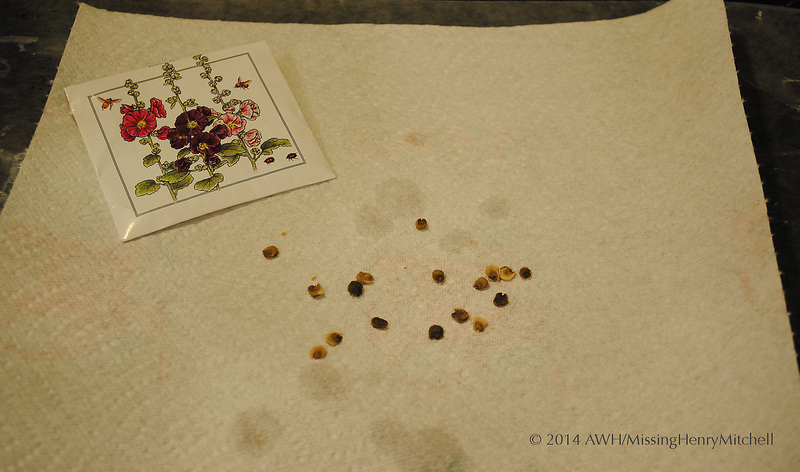 Ten seeds, or a multiple of 10 for small seeds, makes for convenient estimating. 2. 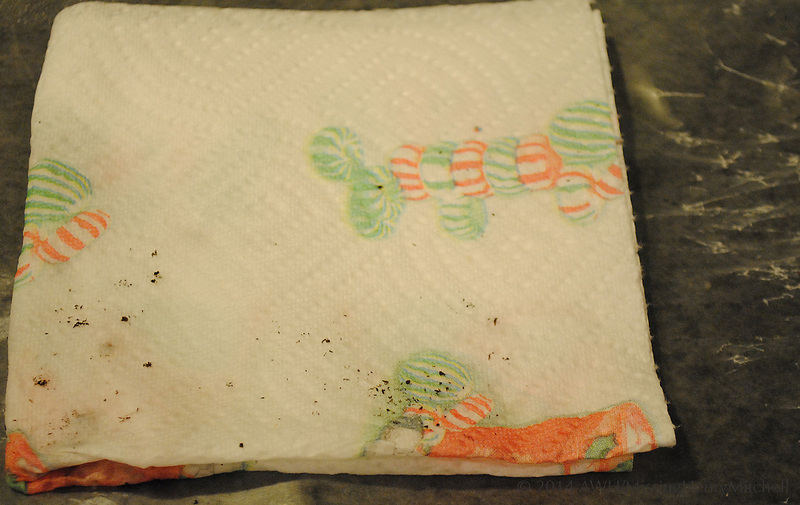 Lightly mist the seeds and the paper towel with water. 3. Fold the towel in half, and then in half again. 4. Lightly mist the folded towel one more time. 5. Slide the folded towel into the sandwich bag or plastic container, and label it using the masking tape. Note the seed contents and the date on which you prepared the sample. 6. Keep the bag or container in a warm place, but out of direct sunlight. I test mine on a corner of the kitchen counter. I also keep the bags for additional seed tests. After a few days, you’ll be able to check the germination rate. I’ll show you how in a separate post. 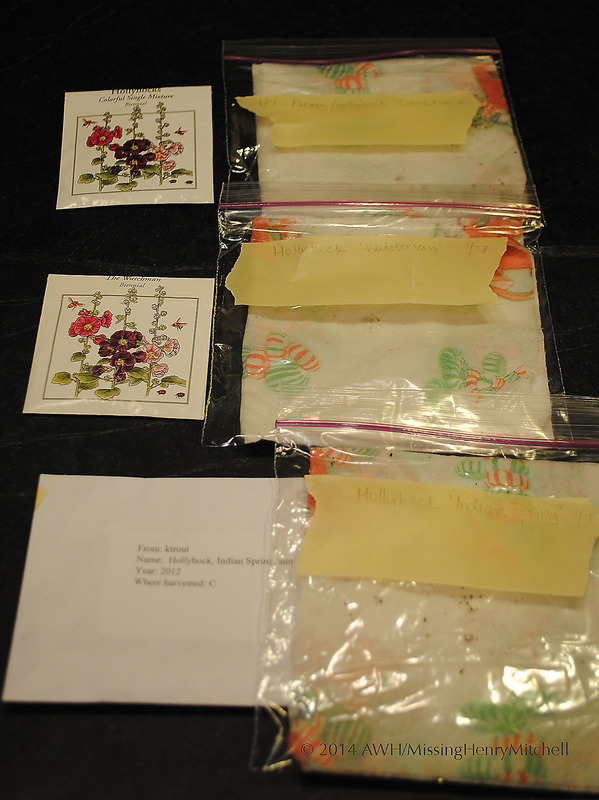 This entry was posted in 2014, Experiments (unscientific), Propagation, Tutorials and tagged gardening, germination rate, nature, seed starting, seed testing, seed viability by missinghenrymitchell. Bookmark the permalink. I’ve just counted 89 different types of seed in my seedbox – think I might need to do some germination testing ready for a clear out – we had some flooding so there’s a good chance they will have spoiled. I used this method to start Parsnip seeds off before they went in the ground and had some good results. I am glad to hear that the method works with parsnip seeds. I have had absolutely rotten luck with parsnips!